The Deactivation & Decommissioning Knowledge Management Information Tool (D&D KM-IT) is a web-based knowledge management information tool custom built for the D&D user community. This system was developed by the Applied Research Center (ARC) at Florida International University (FIU) in collaboration with the U.S. Department of Energy Office of Environmental Management (DOE EM), the Energy Facility Contractors Group (EFCOG), and the former ALARA Centers at Hanford and Savannah River. The objective of the D&D KM-IT is to provide single-point access into the collective knowledge-base of the D&D community within and outside of DOE. Knowledge management is the process of gathering, analyzing, storing and sharing knowledge and information within an organization or community. The main purpose of this process is to improve efficiency by reducing the need to rediscover relevant knowledge and to promote reuse of the existing knowledge. In addition, the system aims to preserve and maintain existing knowledge of the current D&D workforce and guarantees transfer of knowledge to future generations that will continue the decommissioning of nuclear facilities for the next 50 years. 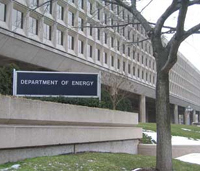 The deactivation and decommissioning of US DOE’s excess nuclear facilities is a high priority across the DOE complex. Subject matter specialists (SMS) associated with the different ALARA Centers, DOE sites and the D&D community have gained extensive knowledge and experience over the years. To prevent the loss of D&D knowledge and expertise that has been gained over the years by employees and contractors of DOE, this knowledge management system has been created specifically for the D&D community to collect, consolidate, and share this valuable information in a universally available and easily usable system. D&D KM-IT serves as a centralized repository and provides a common interface for all D&D related activities. D&D KM-IT also improves efficiency by reducing the need to rediscover knowledge and promotes the reuse of existing process knowledge and technologies. D&D KM-IT is a community driven system. It facilitates the gathering, analyzing, storing and sharing of knowledge and information within the D&D community. The system allows D&D community members inside and outside the DOE complex to share innovative ideas, lessons learned, past experiences, and practices. The system is a knowledge tool that harnesses web technology, thereby enhancing communications; information searching, gathering, and distribution; and knowledge collection and exchange. Most importantly, the system encourages collaboration within the D&D community of practice. Florida International University (FIU) opened for classes in 1972 as Miami-Dade County ’s first public four-year university. Today, FIU is one of the 25 largest universities in the nation, based on enrollment, with approximately 50,000 students. FIU emphasizes research as a major component of its mission. 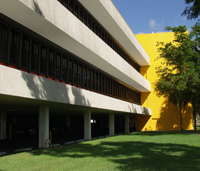 The Applied Research Center was established in 1995 by the Department of Energy (DOE) and FIU. The Center has successfully completed over 300 projects for 14 DOE sites over 18 years. One of the main areas that ARC currently supports DOE EM is in D&D. The mission of the Department of Energy (DOE) Office of Environmental Management (EM) is to complete the risk reduction and cleanup of the environmental legacy brought about from five decades of nuclear weapons development and government-sponsored nuclear energy research. EM’s Engineering and Technology Deactivation and Decommissioning area activities include providing technical assistance to the sites to identify emerging technologies, technical approaches, lessons learned from past and ongoing site closures, and best practices that will improve safety and reduce risk and cost associated with D&D activities. The former Hanford ALARA Center provided assistance regarding new tools and work practices that can reduce exposure for workers and reduce the risk of spread of contamination, while getting the work done more efficiently. 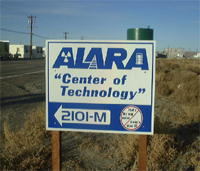 The Hanford ALARA Center was closed in September 2011. The former Integrated Safety Solutions Center (ISSC) was located in 766-H at SRS and contained equipment and information to support field implementation of the ALARA concept and industrial safety equipment for the continuous improvement in determining what is technologically reasonably achievable to reduce worker exposure to hazards in the workplace. The SRS ISSC was closed in October 2012. 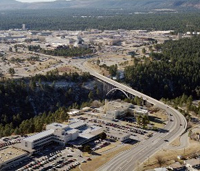 Both former ALARA Centers were staffed by professionals responsible for keeping abreast of new equipment, technologies and techniques to support radiological work with cost effective solutions. There were a variety of innovative items on display to allow visitors the opportunity to use and borrow select items for field use. A phone-based D&D Hotline was established at the Hanford ALARA Center to assist the DOE cleanup community by providing a real-time resource for information on potential solutions to cleanup questions. The intent of the phone-based Hotline was to rapidly disseminate lessons learned and information on best practices, thus providing solutions to D&D challenges across the DOE Complex and beyond. The web-based Hotline on D&D KM-IT has captured the information generated by the former phone-based Hotline to make it available to members of the D&D community. In addition, the D&D KM-IT web-based Hotline continues to provide solutions from SMS to the challenges faced by the D&D community users. The Energy Facility Contractors Group (EFCOG) is a volunteer organization, directed by senior level executives from DOE contractors, sustained by working level personnel from member contractors, and supported by DOE. EFCOG was formed in 1991 by a group of DOE contractors who decided to work together to improve the cost effectiveness of DOE operations by sharing lessons learned and best practices across corporate and program lines. Management and technical processes, procedures, programs that have been implemented or evaluated. Positive and negative lessons learned. Safety Summits on Subcontractors and Electrical Safety Issues. Best Practices web site implementation. Standard approaches for 10 CFR 830 implementation. Accident Analysis Guidebook preparation; extensive safety analysis training. Workshops for PAAA compliance, maintenance standards, issues management, best practices and lessons learned.